Whoever said start them young was absolutely right. 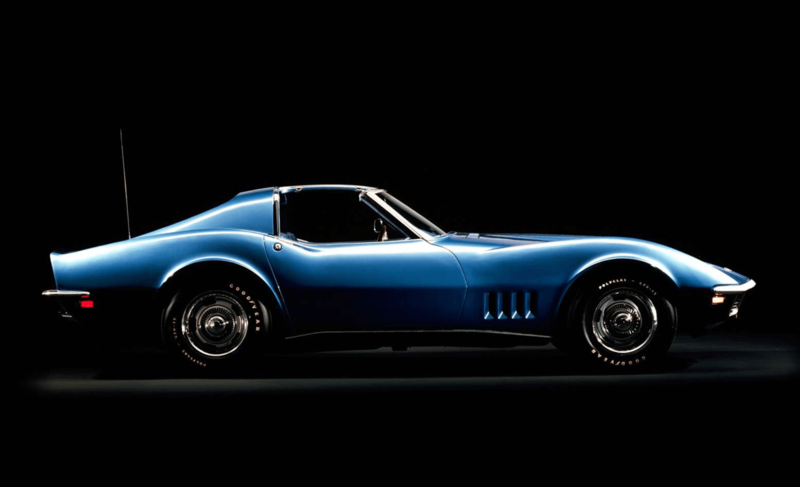 Cars with come in and go but never be as good as a classic Corvette car. 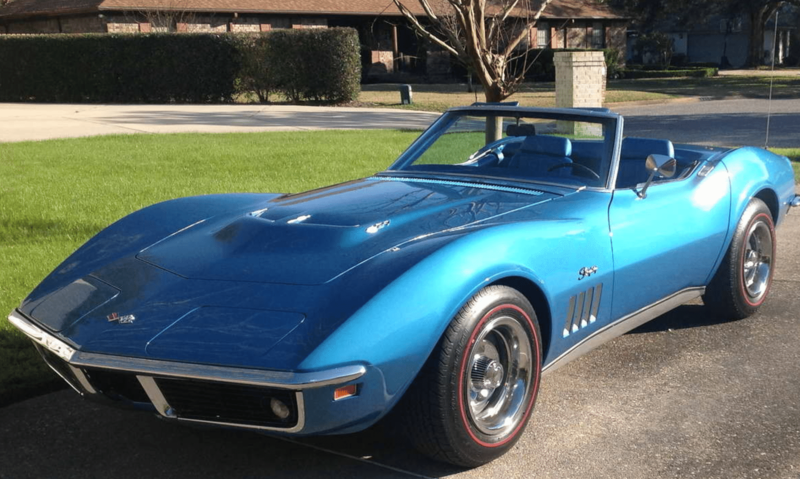 If you are a Corvette fan, why not start young with your kids and have them carry on your passion. 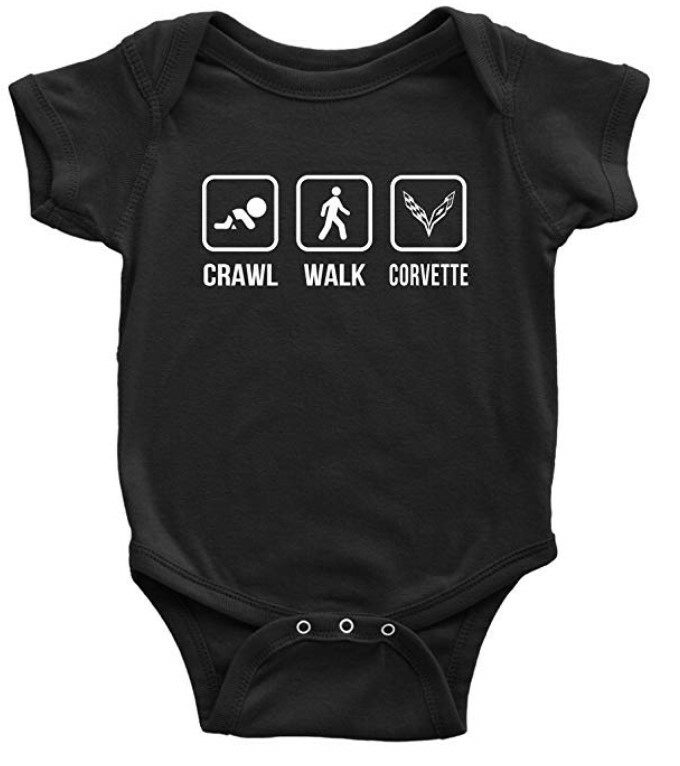 With so much Corvette merchandise available, it has become increasingly easy to engage your kid with all Corvette has to offer. Corvsport monetizes via Amazon. Purchases made on Amazon through our clients send a small commission (appx 4%) back to us. This is how we fund our site and pay our writers. Thank you for supporting us! A perfect affordable gift for your kids and grandkids, this blue diecast car from Maisto is a copy of the 2017 Chevy Corvette Grand sports car. It has true to scale detailing. The model is an exact copy of the real version including the interiors, which are designed very accurately. Everything is so real that the doors and hood open. Quality of the paint and rubber tires is excellent, so is the quality of plastic parts of the car. It can be gifted to children three years and older. 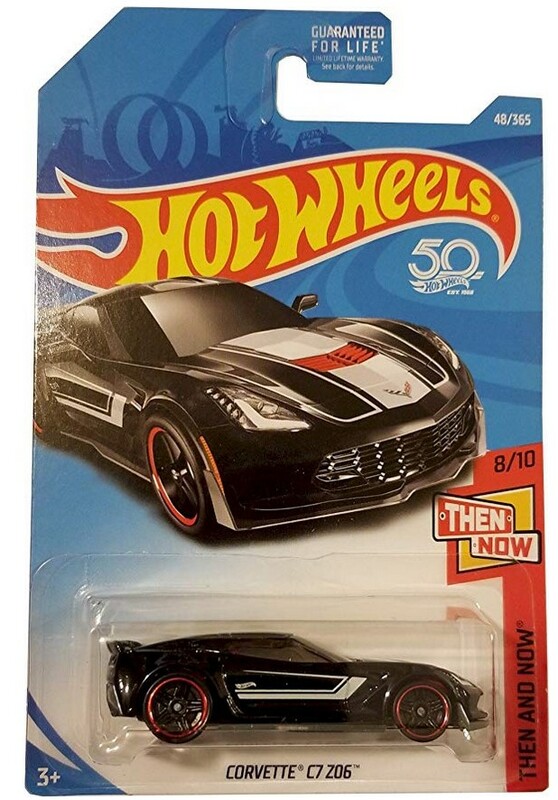 A great gift for both kids and Corvette collectors, the Hot Wheels 2018 Then And Now Corvette C7 Z06 is a miniature version of the original car in black color. It is made out of top quality diecast metal, plastic, and rubber material. The car makes a perfect gift for birthdays and Christmas and as a return gift as well. Also, it is super affordable, so you won’t feel bad about spoiling your kid. 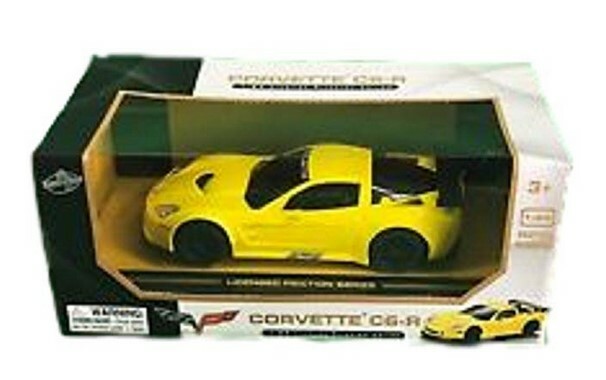 A simple yet classy gift for children three years and older, this yellow Chevy Corvette car by Lollipop is made using kid-friendly non-toxic materials because they tend to put everything in their mouths. It is powered by friction, so your kid is going to have a fun time racing the car on tracks and all over the house. The details are very realistic, which talks well for the brand’s authenticity and commitment to quality. If your kid is obsessed with cars, then this is exactly he needs. 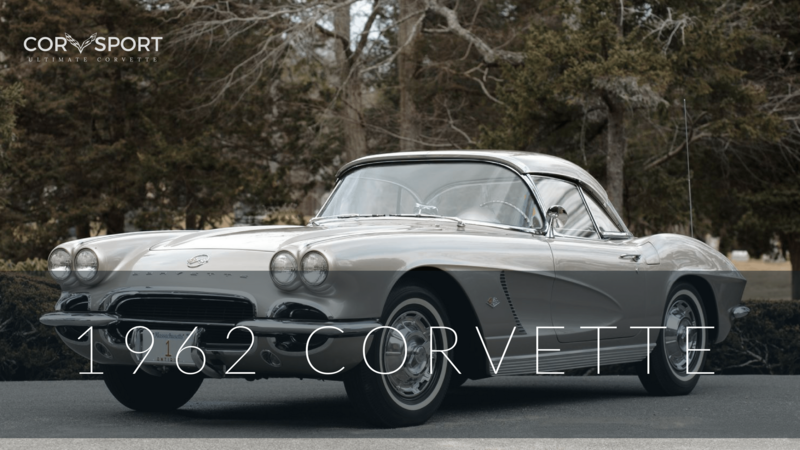 He will absolutely fall in love with them and you can even teach him about Corvette and its history. Just like another other Hot Wheels product, these five cars are made with the best products and completely safe to give to children. We recommend you to give it children who are at least three years old. 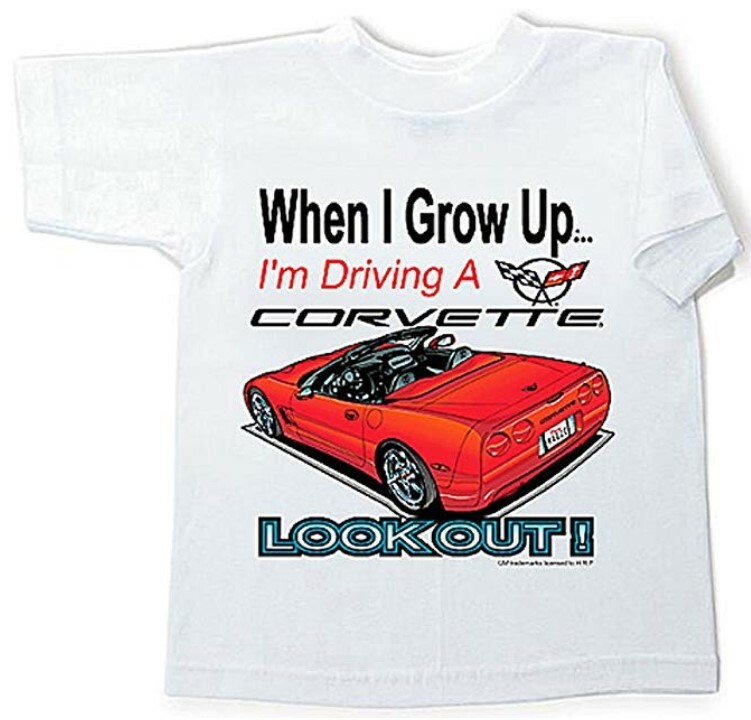 Available in seven different sizes, this Corvette kids t-shirt from A&E Designs is the best gift you can give a future Corvette car owner. It is made with 100 percent cotton fabric, which is sweat-wicking and breathable. The t-shirt is authorized merchandise from General Motors, so you don’t have to worry about the quality or print going away, which doesn’t fade even after prolonged use and multiple washes. Romper model: 12 months and 24 months. 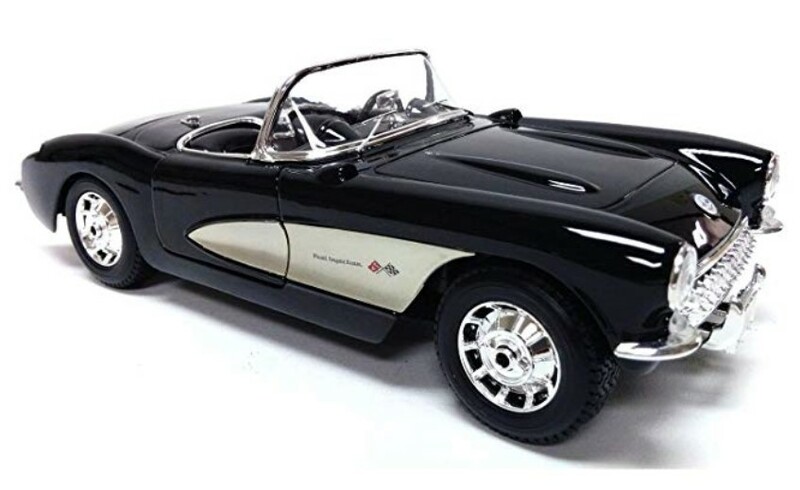 A classy special edition car toy, the 1957 Chevrolet Corvette Diecast Car is a lovely gift of children and adults as well. It weighs 1.9 lbs and made with top quality materials, which include diecast metal, plastic, and rubber tires. The toy’s hood, doors, and dicky all open just like they do in the original model of the car. The interiors are detailed exactly like the original car. It already comes packaged in a box, so you can gift it without wrapping it up. 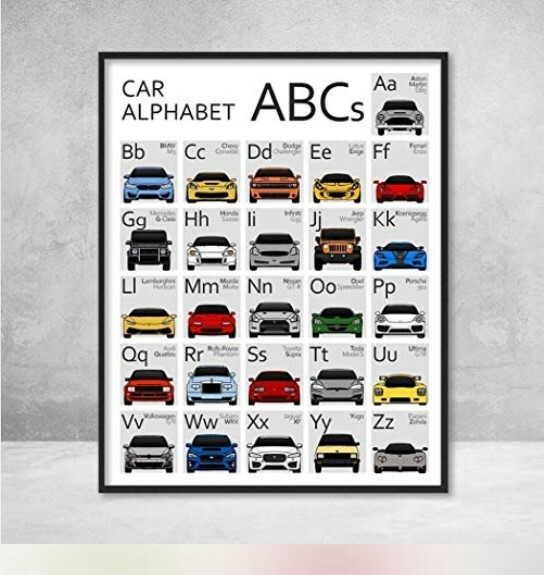 One of the bestsellers, this A to Z alphabet poster print is a wonderful wall decor for your kid’s nursery or big boy bedroom. You can also gift it to your child on the first day of pre-school and make it a memorable day. The art can either be printed on premium 68 lb metallic or satin photo paper that increases the accuracy of the print. It has a ¼” border, which gives it a contemporary touch. It doesn’t come framed but since the poster comes in standard sizes, so you can easily find a print at your local supermarket. Alternative models and colors: Two paper types – metallic and satin photo paper. 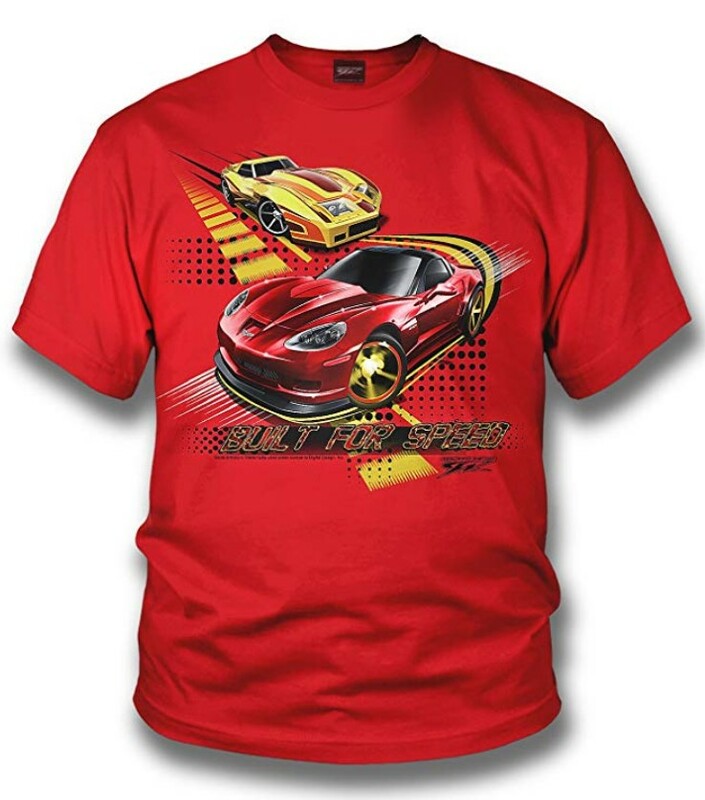 Officially licensed by General Motors, the Built for Speed Corvette T-shirt is quite a steal. The red t-shirt is made with 100 percent cotton fabric with high moisture absorbing capacity. 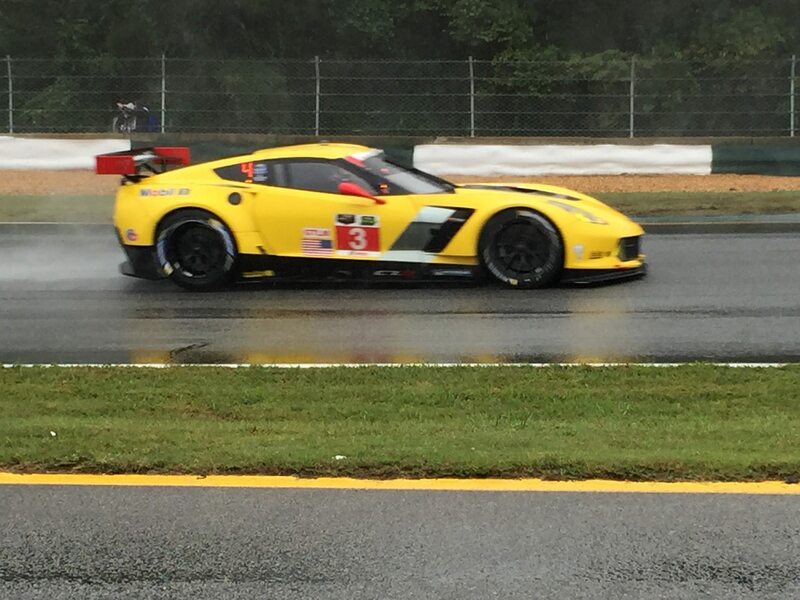 It features a yellow Corvette C3 car and a red Corvette C6 car. It is certified by the Consumer Product Safety Commission, which is an important certification requirement for children’s toys and clothes. The t-shirt fits a size smaller than mentioned, so make sure when you order, you order a size up. 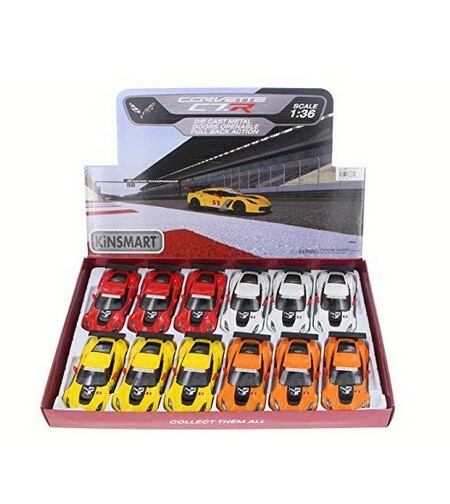 This 12 car toy set of Corvette C7 car will your little boy’s Christmas gift the best ever. Doors of all cars open and have amazing detailing. You can also buy this for your Secret Santa or fellow enthusiast if you are hosting a Corvette-themed birthday party. All of them are made with diecast metal and follow all regulations put forth by the Consumer Product Safety Commission. These cars are only for children three years and older as they are a choking hazard. 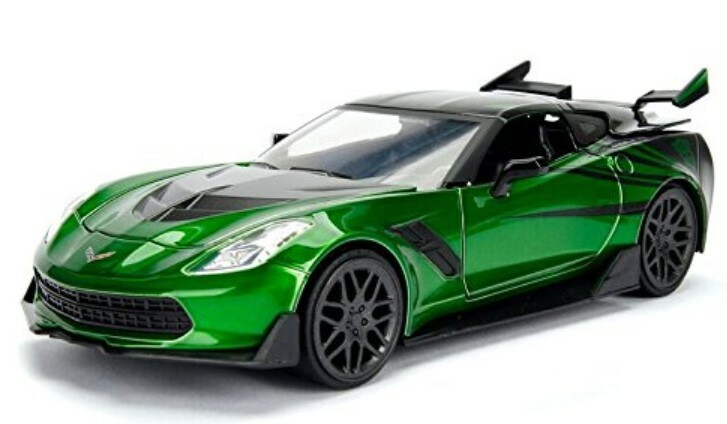 With highly-detailed interiors and glossy finish, this Chevrolet Corvette Z06 toy version will keep your kid busy for hours. It is powered by a remote, so you can teach them to do all kinds of tricks with it. The remote control moves the car in all directions – left, right, U-turn, forward, and reverse. 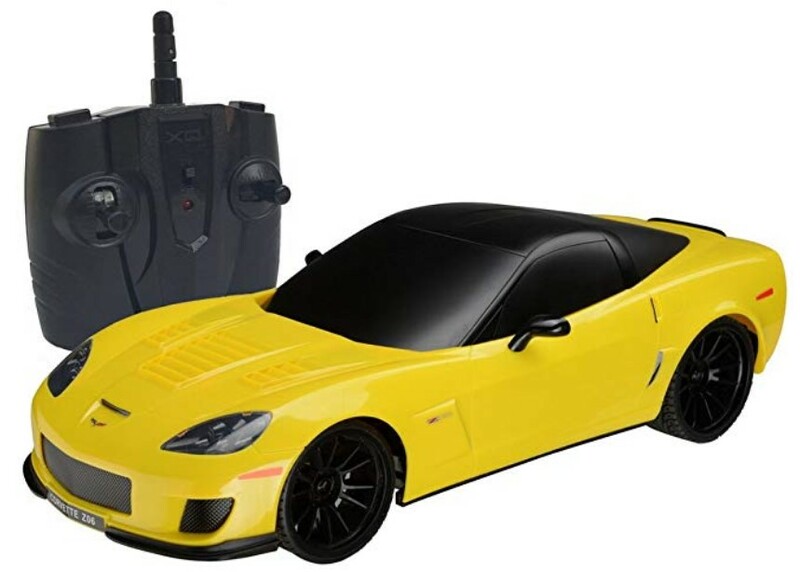 The car needs 4 AA batteries while the remote control needs 2 AA batteries, which are not included in the pack, so you will have to purchase them separately. It has a radio system of 2.4Ghz, which can power up to eight cars at the same time without frequency interference. Ideal for children eight years and older, the Metals Transformers Chevy Corvette Vehicle is constructed using diecast metal, rubber, and plastic. It is also a great collectible for adults as it has a robot on the car’s chassis. Also, all doors, hood, and dickey open like they do in the life-size model. Premium metallic paint and chrome accents give it an interesting appeal. 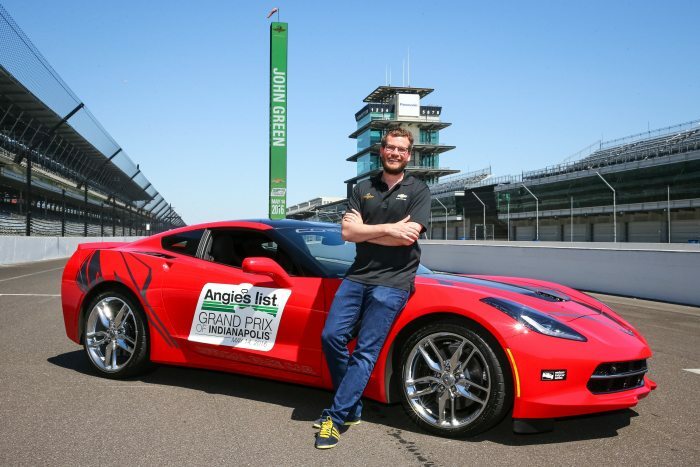 It is the exact replica of the 2016 Corvette car that was used in the Transformers – The Last Knight movie. Younger children should be given the car to play only under adult supervision. A simple yet classy school bag for kids, the Shijingshan Corvette-logo School Bag is available in two colors – pink and violet. It is made with 100 percent polyurethane leather, which is a water-resistant and durable fabric that will keep your child’s books and tiffin dry during the monsoon. The iconic logo is printed on it and even though it is two dimensional, it has a three-dimensional effect. The shoulder straps are padded for comfort and have one bottle holder at the side. This high-quality Corvette Infant Bodysuit by Emily Gift is available in three colors including black, green, and white. It is made with 100 percent flexible cotton, which is breathable, comfortable, and will keep the baby warm. It has double-needle stitched rib binding on the sleeves, shoulders, neck, and leg openings. The bodysuit has a three snap closure for easy diaper changing. It is available in five different sizes. You can use the one-piece to surprise your partner or father with your pregnancy news. With a black foam front and mesh back, the Gujigur Kids Z06 C7 Corvette Logo Cap has a minimalist design that goes with every style on all occasions. The Corvette logo is silk screen printed on the cap, which means it won’t fade after prolonged use. It is available in five colors and has a moisture-wicking fabric around the edge. The technology helps to keep sweat out of the hair, so that there’s no growth of odor-causing bacteria and fungus. You can only hand wash it. 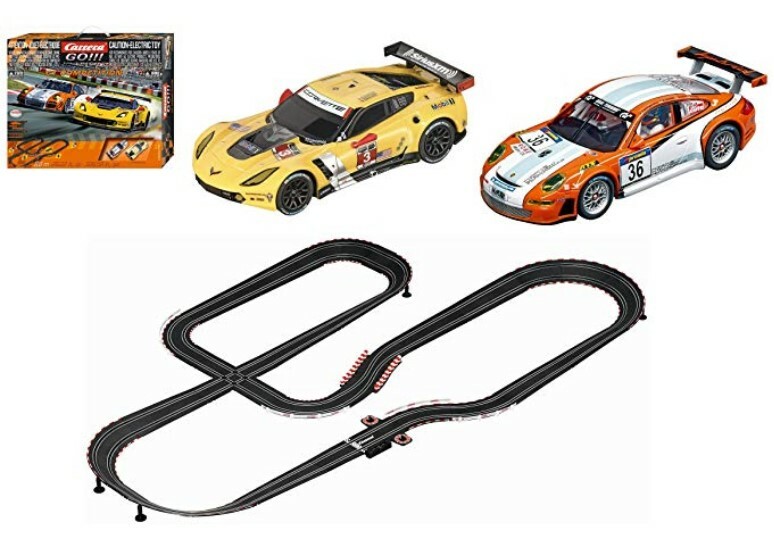 The best gift for children eight years and older, this Car Race Track Set comes with two cars – Chevrolet Corvette C7R and Porsche GT3 Hybrid and two dual-speed controllers. The race track is 28 feet long and the car can race up to 370 mph. It is a two-car racing game, so you can play with your kid. Batteries aren’t included in package, so you will have to purchase them separately.